A Waycross, Ga. tower tech was on his way to pick up a new safety climb sleeve Friday afternoon to replace his aging unit when, according to a Georgia State Patrol report, his truck was struck by a tractor with a planting rig implement attached that crumbled the entire driver’s side of the GMC Sierra pickup in Blackshear, and in the process, severed the man’s left arm off three inches from his shoulder. 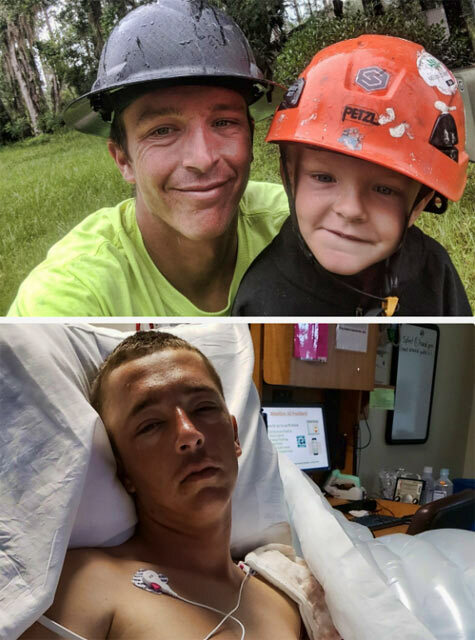 Casey Davis’ wife, Heavan Colson Davis, informed Wireless Estimator this morning that after almost 10 hours of surgery, surgeons were able to attach the arm and get blood flow to it after removing arteries and veins from his thigh. However, although she said that he is cognizant and on strong pain medication, he suffers emotionally from the trauma. 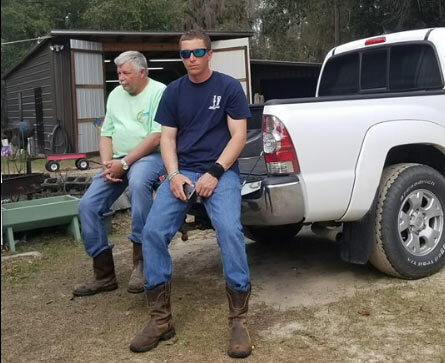 She said following the accident, Davis was just minutes away from expiring from severe blood loss, but an off duty paramedic was driving behind the tractor and had a trauma kit in his vehicle and got a tourniquet on his arm to stop the bleeding. Heavan said that there will be many more surgeries over the coming months and doctors are monitoring Davis to ensure the arm doesn’t become infected since they couldn’t remove all of the debri before it was attached due to concerns about the arm deteriorating. Davis has worked as a tower climber for the past 10 years for his father, Richard Davis, who owns Davis Specialty Services, a small wireless contractor. According to Heavan, her husband provided their main source of income and he didn’t have medical insurance. To assist the family with their continuing expenses, a GO FUND ME account has been set up. Heavan and Casey have two boys, ages 4 an 2.